Rakhi is an auspicious occasion that is celebrated in India and all over the world. It is true that no Indian celebration is complete without Mithais. 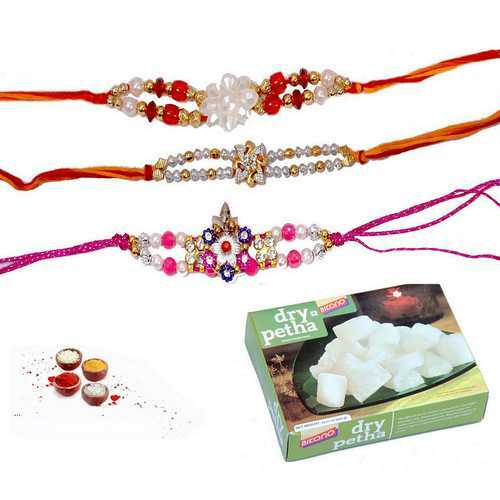 You can send an online rakhi to India even if you are far away from your loving brother. 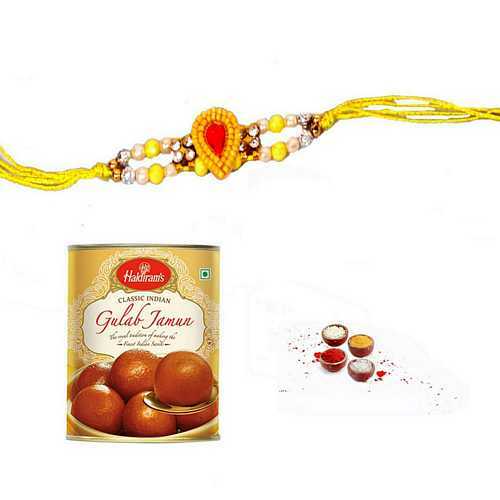 Pairing an elegant Rakhi with delectable Sweets can definitely bring smile on the face of your loving brother. Rakhi is a special celebration of the love between a brother and sister and sweets are always perfect for Indian celebrations. There is so much variety to choose from and so much on offer that you will never run out of options to choose from. 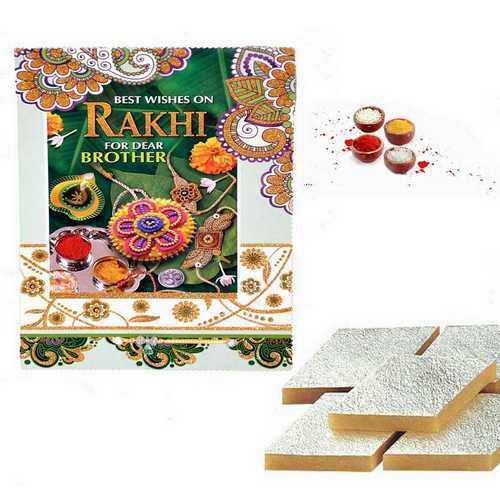 Make the celebration grand by sending your sibling exclusive Rakhi along with delectable sweets. 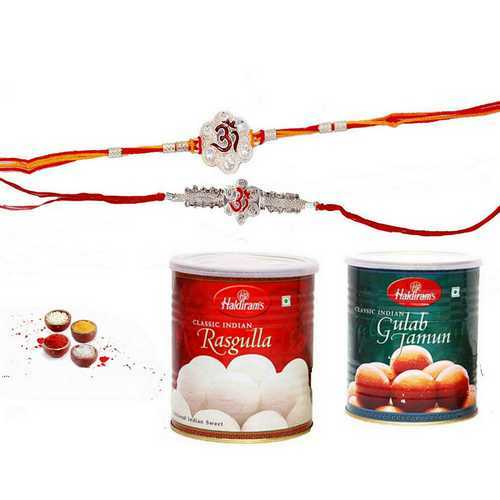 Without sweets any happy occasion seems incomplete, for making the auspicious occasion of rakhi extra special we have varieties of mouthwatering and sumptuous sweets from renowned companies like Haldiram, Bikanervala etc. 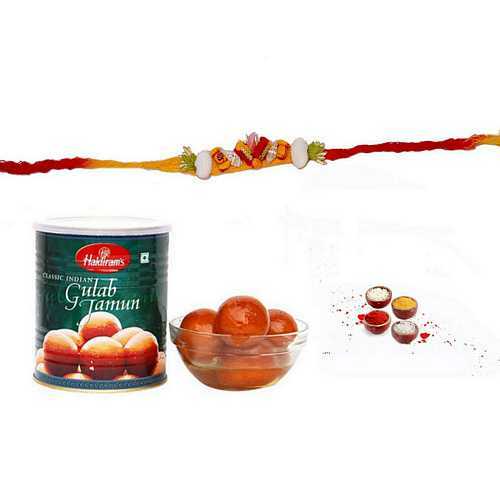 rakhi with sweets like Gulab Jamun, Rajbhog, Rasgulla, Soan Papdi etc. will be a nice gift for your brother and he would surely love the gift. 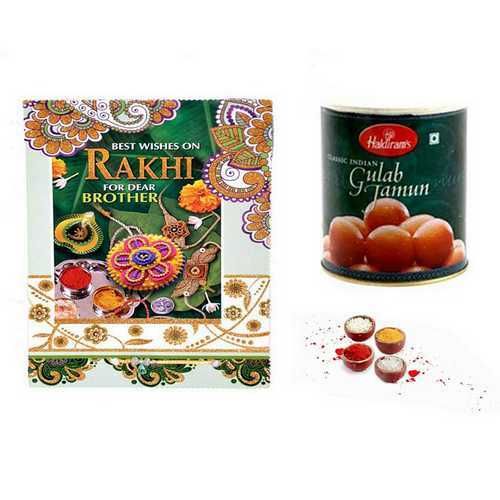 Talking about rakhi gifts, an excellent idea would be to send a pack of sweets, delivered to India for your sibling. 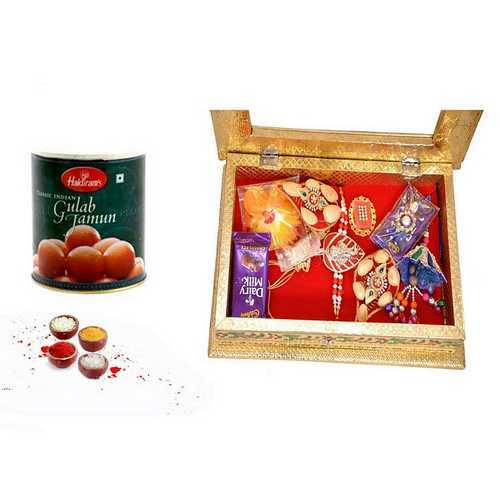 Receiving a nice sumptuous sweet hamper on the day of Raksha Bandhan will leave your sibling ecstatic. Sweets have always been an integral part of our cultural exchanges. It has been an age old custom to celebrate any joyous occasion with sweetening one’s taste buds with various confectioneries. It would be a nice idea to treat your siblings in India by sending them a pack of mouth-watering, delicious sweets with an online rakhi. 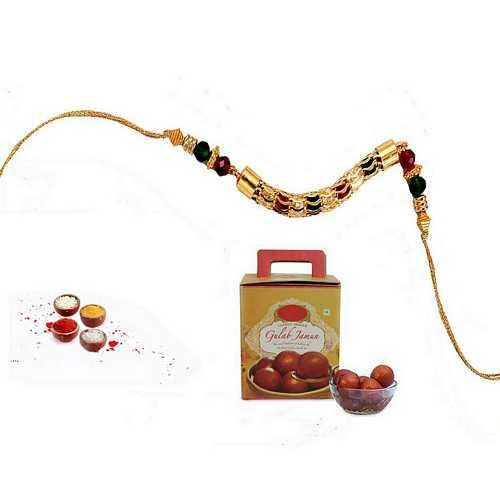 Rakhi is around the corner and your siblings and other family members must be missing you terribly on this auspicious occasion so make this Raksha Bandhan memorable for them and bring a wide smile on their faces with your rakhi and rakhi gifts. 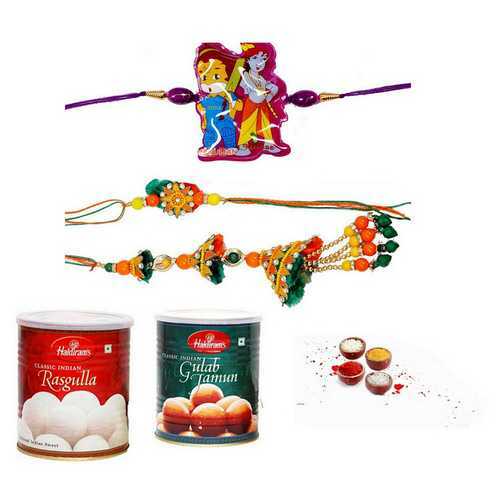 Explore our portal and choose the best gifts by relation and send rakhi to India and Send online rakhi gifts to India to make your siblings feel special and making the festival a memorable affair to remember. We have rakhi delivery services in across India like Delhi, Mumbai, Pune, Chennai, Hyderabad, Bangalore, Bhopal, Gwalior, Indore, Kanpur, Nagpur, Amritsar, Ahmedabad, Lucknow etc. 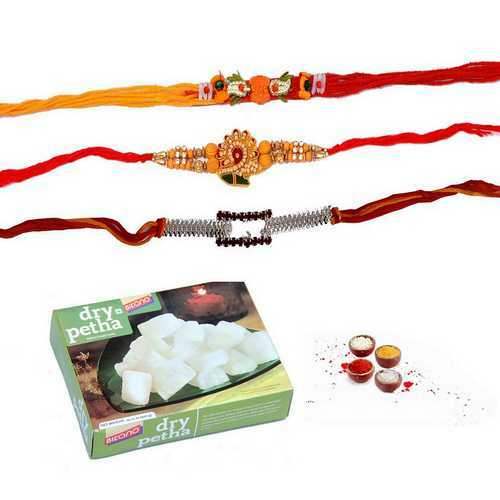 so Send Online Rakhi with Sweets to India along with various gifts through our gifting portal and enjoy complete peace of mind. How sweet a sibling relationship is! 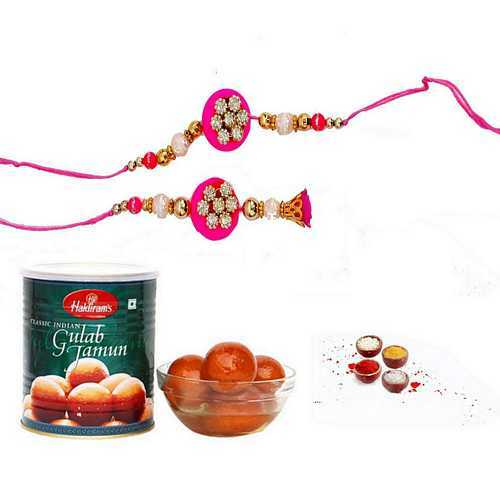 Send elite rakhi with sweets to your Bhaiya, Bhabhi and younger brothers with delicious sweets to express your love & affection and strengthen the sweetness of love between you and your siblings. What else could spread more sweetness to the festival of love than sweets? In India sweets are the best position holders in every fair and festival. We express our happiness and gratitude by offering and sending sweets. Similarly in our special festival of Raksha Bandhan we make every bit of it by offering sweets to our siblings. Sweets are the best compliments for the great festival of brothers and sisters. 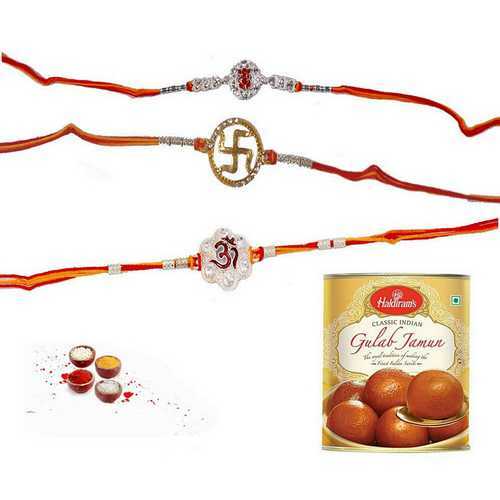 When sister mark tilak on brother’s forehead and tie rakhi on his wrist, she completes the ritual by offering him sweets. Sweets are last yet the sweetest part of the rituals of the festival. 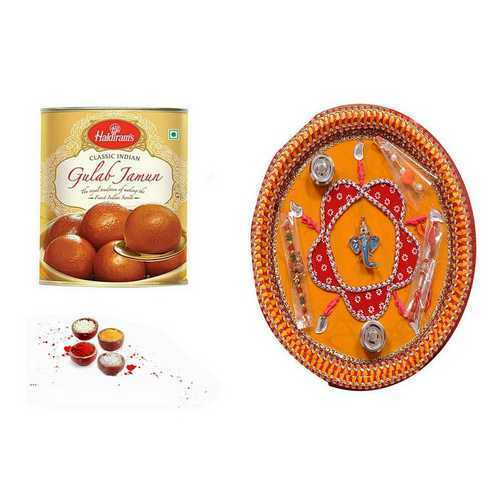 Besan laddoo, kaju katli, rasgulla, soan papdi and chocolates are few types of sweets you can offer to your bro. When sisters are not near to their brothers, even then they don’t forget to complete the traditions. Sending rakhi along with sweets is another way out to celebrate the festival for those, who don’t reside near to their siblings. Even if you are residing in a foreign nation, from there as well, you can send rakhi with sweets to India to your adorable brother. Isn’t it the best manner in which you can be close to your bro on the day when actually you are distance apart? 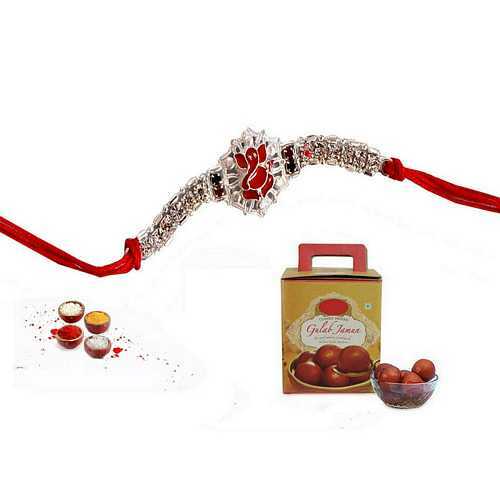 We at SendEliteGiftstoIndia have many options for you so that you can choose the right type of Rakhi with right type of sweets. In this category we have combo options like Rakhi with many Indian sweets like Gulab Jamun, Rasgulla, Dry Fruits Laddu, Coconut Laddu, Barfi, Cashew Nut Laddu, Kaju Katli, Soan Papdi, Soan Cake, Dry Petha, Kesar Rasbhari, Chocolates, Rajbhog, etc. 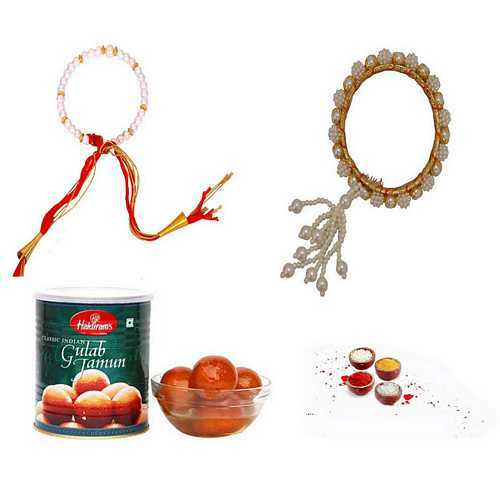 We present you unique Rakhi with sweets ideas so that you can make your brothers feel special on this auspicious day of Raksha Bandhan. Just browse our catalog and chose the right one that suits your tastes and your brothers too. 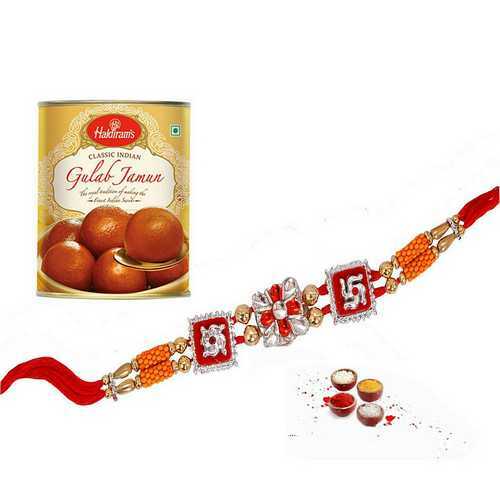 Send Rakhi with Sweets online to India with express delivery facility by Sendeliterakhitoindia.com.